MOZA MINI-S is a new look, from the company Gudsen, on stabilizers for smartphones. In addition to the updated design, the company has completely revised the functionality of the device. 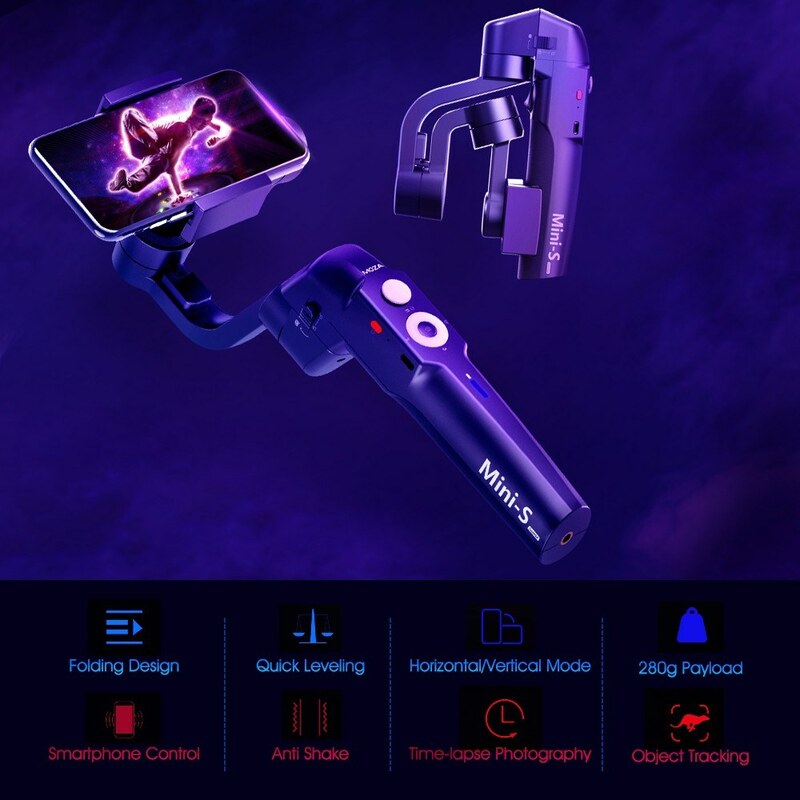 Now the device can be folded, set the desired length, apply advanced shooting modes and use the multifunctional application from MOZA GENIE. The new MOZA MINI-S essentially has three forms. There’s the folded position, and it’s small and compact for traveling. Then the unfolded position, which is the type of thing we’re used to in a phone gimbal. 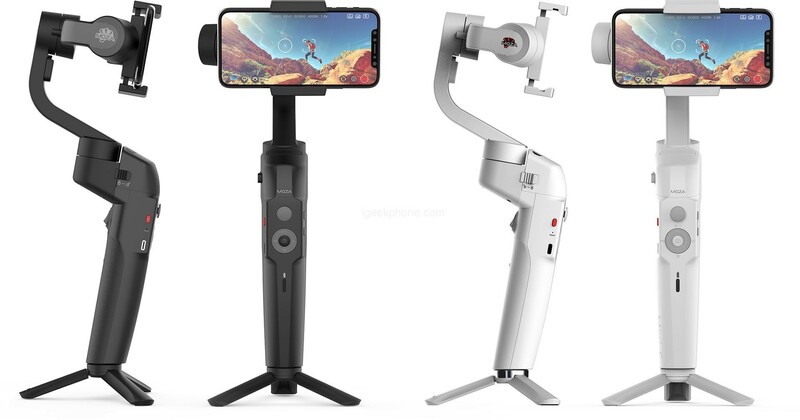 And finally, there’s the selfie stick extended mode – handy for those times when you want to see over a crowd or get a slightly higher viewpoint. It has a maximum payload of 280g and it officially supports the iPhone X, 8 Plus, 8, 7 Plus, 7, 6s Plus, 6s, 6Plus, 6 and 5s. They don’t mention the iPhone SE, but I’m sure it’ll be fine. As for everybody else, there’s the Huawei P10, P10 Plus, Mate 10 Pro and Mate 10, the Samsung Galaxy S8 and Note 8, and the Xiaomi Mi and Mi MIX 2. The Moza Mini-S will be available in two colors. There’s the classic black or the new white, both of which do look rather good. A special feature of the MOZA Mini-S is the switching from horizontal to the vertical orientation of the smartphone. Now, this is a trend, as stream and live streaming to Instagram and Facebook only support the vertical orientation of the smartphone. In this case, you will have a very smooth and high-quality Live. Steadic has a lot of functions for controlling a smartphone, for example, zooming with one button, focusing control and quick viewing of the result, it is very convenient. MOZA Mini-S boasts many excellent shooting modes, including hyper-slow motion, sport mode, tracking modes, and others. You can easily customize your shooting style and shoot smooth and stable videos. The stabilizer can work in different modes of following, for example tracing the trajectory horizontally or vertically, or full tracking in all axes, as well as controlling the speed of tracking. This ensures that your frame will be exactly as you want. 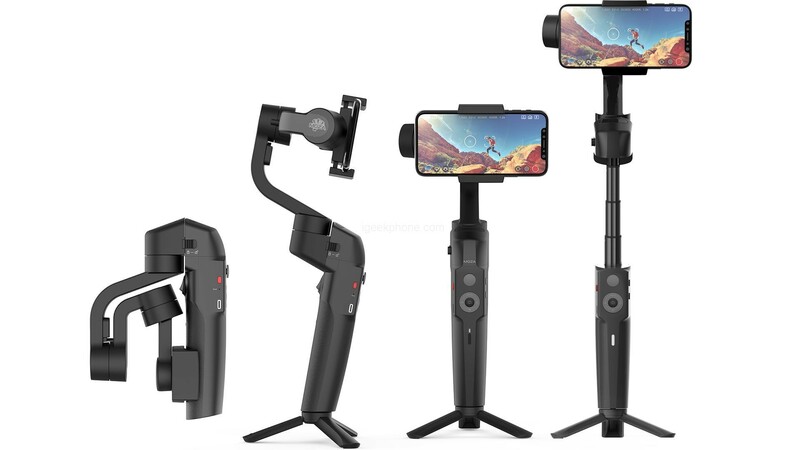 MOZA Mini-S, imitating the Leaning Tower of Pisa, also has a specific body inclination 10 degrees ahead, this gives it proper and comfortable grip, the hand will not get tired and slide during the shooting. Its platform allows for its part the reception of smartphones having a width of between 55 and 88 mm, and the battery of 2200 mAh which it equips itself would grant an autonomy of 8 hours in use.